A lawsuit filed on behalf of Butte County residents who lost homes and businesses in the Camp Fire accuses PG&E of negligence that led to the catastrophic blaze. The fire has destroyed more than 8,756 residences and 260 businesses and killed at least 56 people in and around the town of Paradise -- by far the most destructive and deadly wildfire in California history. 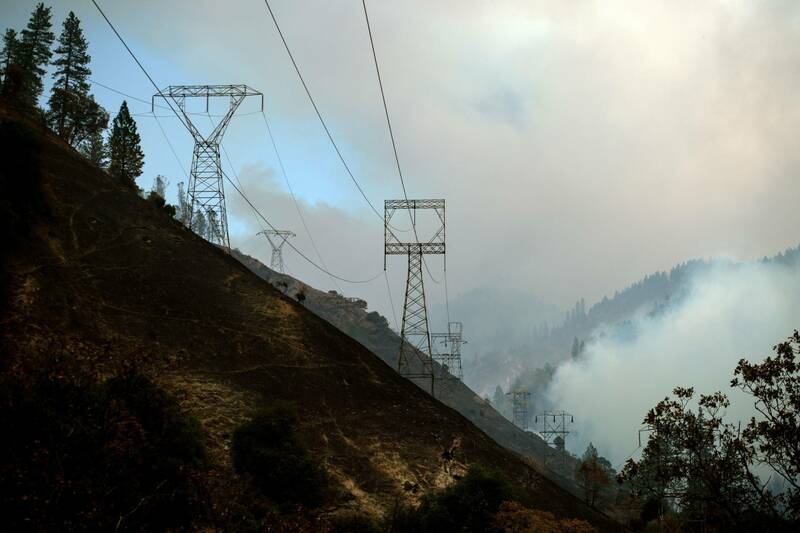 The blaze started about 6:30 a.m. last Thursday, and the first Cal Fire crew on the scene identified the location as beneath a major PG&E transmission line near the Feather River and about 8 miles northeast of Paradise. In a brief report to the California Public Utilities Commission, PG&E said that it had recorded an outage on the transmission line 14 minutes before the reported start of the fire. The company said an aerial inspection later Thursday found unspecified damage at the site. Both Cal Fire and PG&E have emphasized that the cause of the fire is still under investigation. 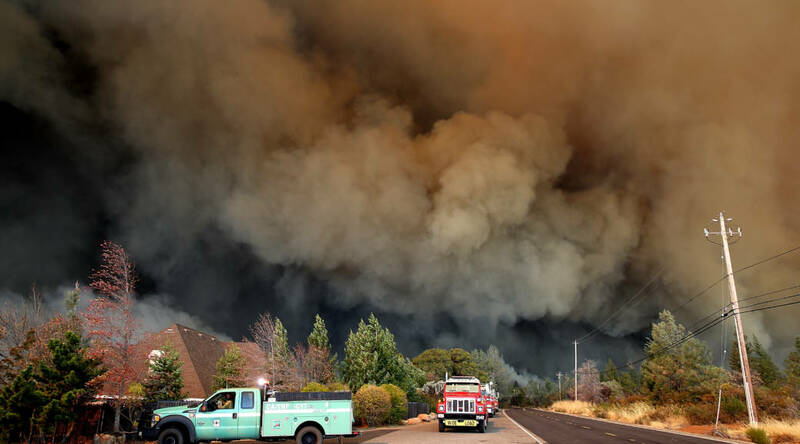 But the complaint filed in San Francisco Superior Court on Tuesday charges that PG&E equipment ignited the fire and alleges the blaze is the result of PG&E's long-term failure to maintain its infrastructure and operate it in a way that would minimize the risk of wildfires. The lawsuit seeks unspecified damages for negligence, depriving the plaintiffs of their property and violations of state laws governing utilities and public safety. Given the history of recent disasters involving PG&E, such as the 2010 San Bruno pipeline explosion and the October 2017 Northern California fire siege, losses in the Camp Fire are likely to be more than $10 billion. In that eventuality, the company could not benefit from a new California law that allows utilities to seek permission to sell state-authorized "recovery bonds" to help pay for wildfire losses. Ratepayers would pay the cost of the bonds. The law applies only to fires that occurred in 2017 or for incidents that occur on or after Jan. 1, 2019. Redwood Shores attorney Mike Danko, one of those representing the plaintiffs, said his clients and other Paradise residents are "aware that PG&E, instead of trying to put safety first and execute on its pledge to mitigate wildfire risk, that instead PG&E has been running to the Legislature for various types of protection from its own wrongdoing and trying to get laws passed so it can’t be held responsible when it starts a forest fire and burns down someone’s house or in this case kills people." Asked for comment on the lawsuit, PG&E issued a statement saying "our entire company is focused on supporting first responders and assisting our customers and communities impacted by the Camp Fire." "We appreciate the interest in the details associated with these incidents, but we are not able to share more information beyond what is included in the reports we’ve filed," the company statement said. KQED's Angela Corral contributed to this report. Correction: This story misstated provisions of a new state law that could aid California utilities found liable for wildfire damages and how PG&E might benefit from the statute. The provisions that could lead to utility ratepayers paying a share of wildfire liability costs will only apply to incidents that occurred in 2017 or on or after Jan. 1, 2019. Thus, the law would not apply to liabilities incurred from the Camp Fire in Butte County.